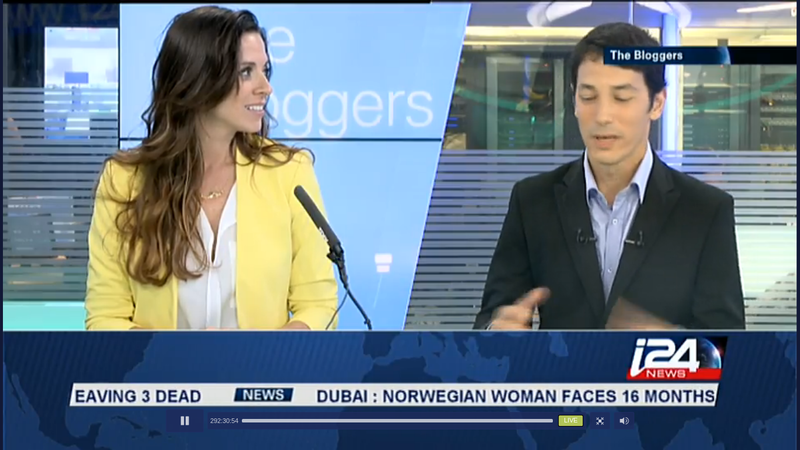 i24 aims at news junkies worldwide who are interested in the Middle East. It will broadcast simultaneously in English, French and Arabic, according to i24 founder and CEO Frank Melloul. There are no plans to broadcast in Hebrew, reflecting the channel’s focus on an international audience, rather than the domestic one. The goal for i24 is to show a different side of Israel, especially to people who may have a negative view of the country. The new channel is streamed live 24 hours a day online. It is also broadcast via satellite across the Middle East, and in Europe, Asia and Africa. The channel is aiming to launch on U.S. satellite and cable frequencies in January 2014. Another graphic showing his failure in creating jobs can be seen here. 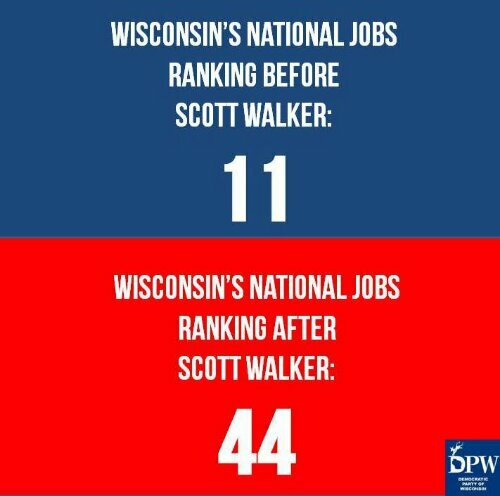 While Scott Walker has been sucking the life out of anything that could possibly aid in creating jobs in the state of Wisconsin, our neighbor to the west is in the middle of an economic boom. Minnesota gained more jobs in the last 6 months than in any half-year since Reagan was president, personal incomes grew more last year than just about all other states, and the medium income in Minnesota is among the highest in the nation. 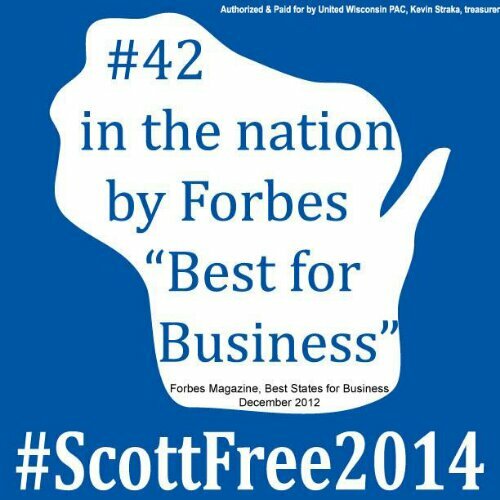 While all that has been happening in Minnesota, Wisconsin shed more jobs than any other state in 2011 and 2012. GDP here last year grew by 3.5 percent compared to 2011, which is a full percentage point above than the national average of 2.5 percent. 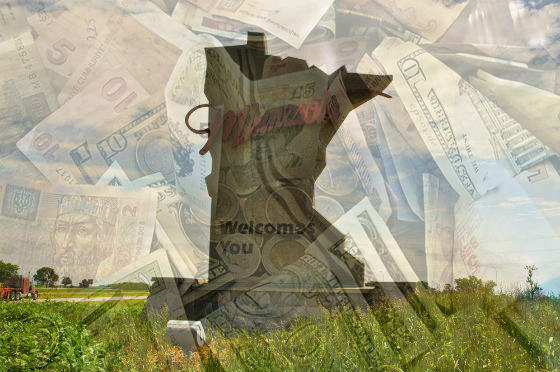 With a total GDP of $253 billion, the Minnesota economy clocked in as the 17th largest in the country. 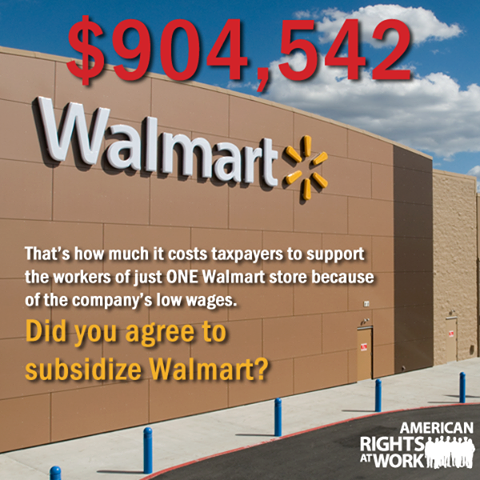 Did you agree to subsidize Walmart? Walmart’s low wages are costing you… Think about that the next time you decide to shop there. 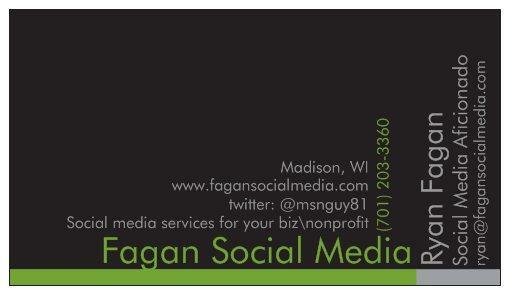 Recently I was awarded a Klout Perk that was a $5 McDonald’s gift card. With this gift card I was to go down to one of my 250 (slight exaggeration) local McDonald’s locations and try one of the new Premium McWraps. 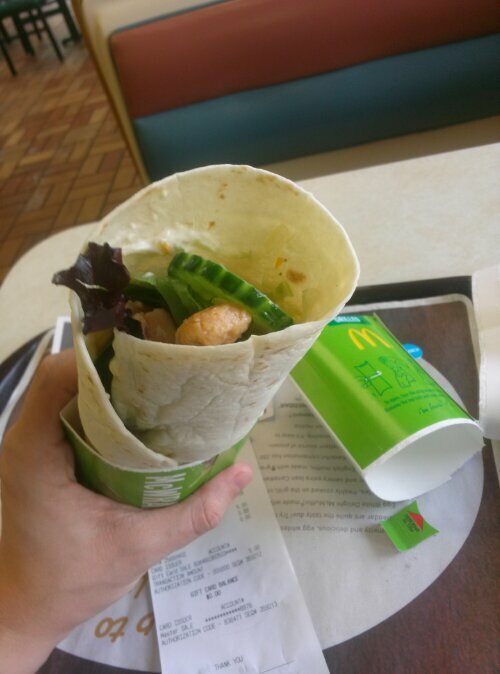 I decided to head over today to the McDonald’s located about one block from my apartment and try the Chicken and Ranch one… With grilled chicken, of course. 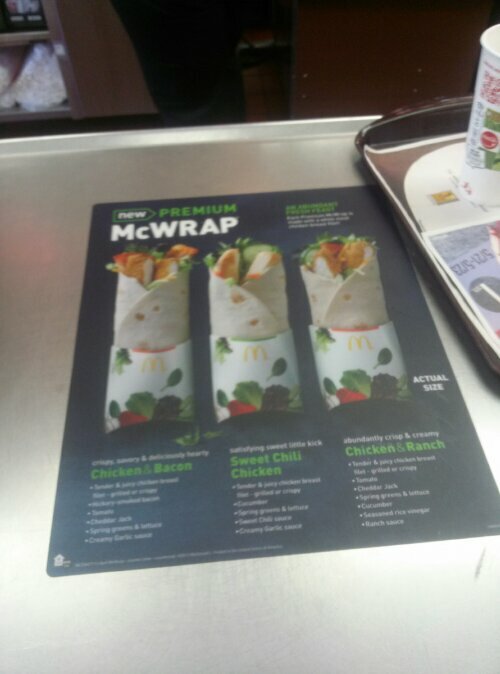 As you can see above, there are three Premium McWraps to choose from. All three can have crispy or grilled chicken. As I said before, I chose Chicken and Ranch… I like chicken. I like ranch. It made perfect damn sense then, now didn’t it? 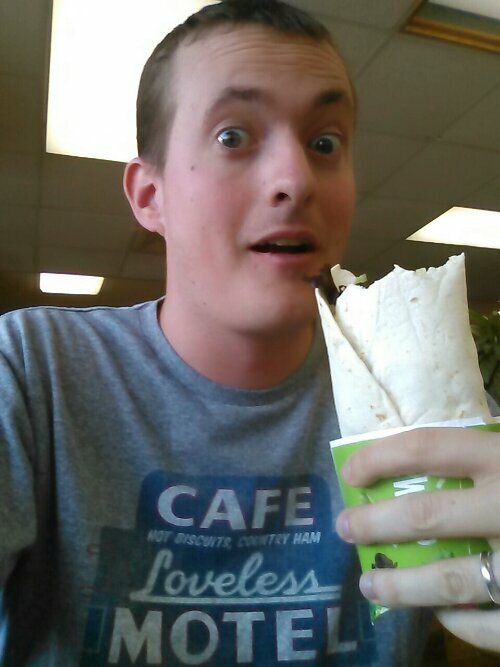 I was happy to see that it really is a decent sized wrap. 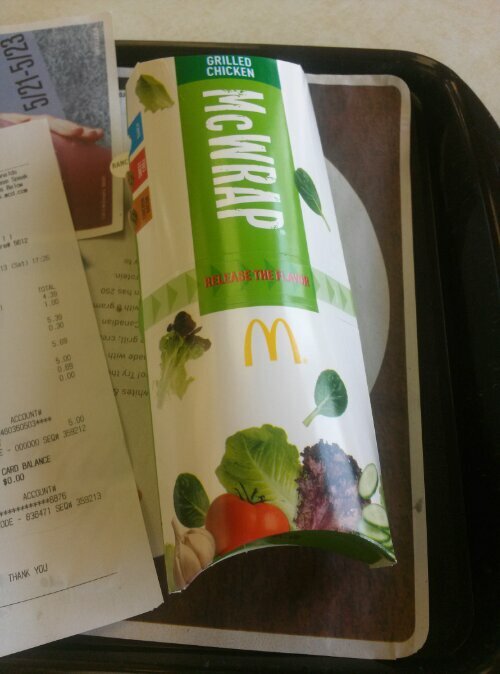 Whenever I have seen a commercial I thought that McDonald’s was using the magic of television to make it look big but then in actuality I would get one sometime and see that it was only slightly larger than a Snack Wrap. Nope. The actual product matches what you see on television. Now, as for the full ingredient specs, we have grilled chicken breast filet with two half slices of tomato, cucumber slices, spring greens, shredded lettuce and cheddar jack cheese, all drizzled with seasoned rice vinegar and buttermilk ranch sauce wrapped in a flour tortilla. It was impressive for McDonald’s. It was a mouthful (THAT’S WHAT SHE SAID). It really was tasty. I would get it again. I recommend trying it. Not bad. Well done McDonald’s. You now have a product that I could see on an Applebee’s menu. Now, I said Applebee’s… Lets take that as a compliment in this instance, ok!? Also, check out my view from the booth. Amazing. 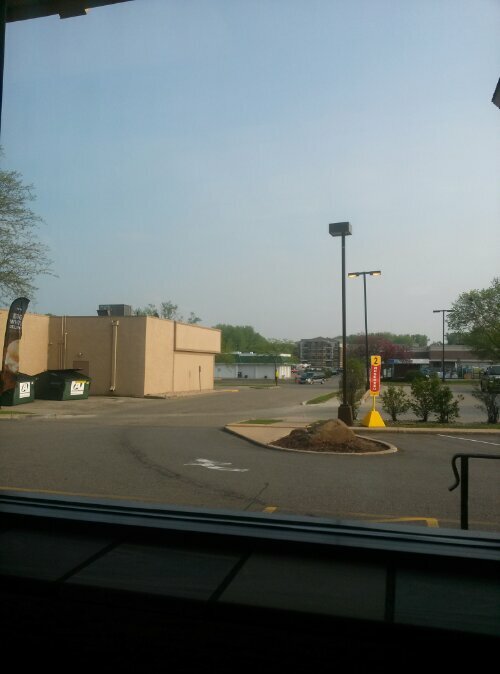 A strip mall in Middleton, Wisconsin. Drink. It. In. Now… Enough about business… I will get back to blogging on this site.